Continued from Part 1 of this article. 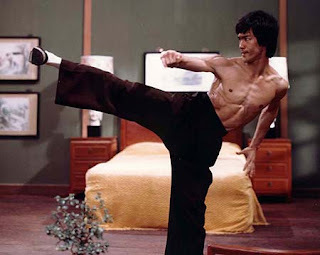 There is a tendency for martial artists to venerate the past and play down innovation. It is tradition that gives legitimacy. In goju-ryu we are told that Chojun Miyagi passed down an art form established by his teacher Kanryo Higaonna. Yet everything indicates that Miyagi was an innovator and set the benchmark - not Higaonna, however skilled and knowledgeable the latter might have been. We know that Miyagi introduced tensho, his own sanchin and the gekisai. We know he performed his kata very differently from Higaonna, emphasising dynamic tension, closed fists etc. The art of goju-ryu was named by him. He is the one who is recognized as the "founder" of the system, not Higaonna. There must be a reason for this. The "standard" history is not backed up by any technical or historical comparison with tou'on ryu, goju's sister art. Furthermore, Fujian external quan fa systems in the mid to late 1800s typically taught 4 or 5 kata, maximum. In my view the standard history is consistent with the Chinese, Okinawan and Japanese martial culture of venerating the past and denying innovation, nothing more. To me Ockham's razor clearly falls on the side of the "extra" kata being introduced by Miyagi, possibly after his travels in China but not necessarily because of them. I don't think Miyagi ever made any bones about teaching his own art - he named it after all and is regarded as the founder. I don't think he necessarily told his students where certain forms came from. In this context I can see how his students might have assumed that the forms were all from Higaonna via Ryu Ryu Ko. It might be argued that since Miyagi did not deny creating or adapting kata (e.g. gekisai, tensho, sanchin), why then would he claim that he learned all the others from Higaonna if he did not? I don't know that he ever did claim that he learned all his kata from Higaonna, although I can see why his students might have got that impression when the dominant message in those days (and, in many dojos today) is: "train - don't question". Most of his students probably wouldn't have dreamed of asking Miyagi where individual kata came from. Miyagi might have had multiple reasons for not putting saifa, seiyunchin, shisochin, seipai and kururunfa ("cluster M2") into the tensho/sanchin/gekisai category ("cluster M1"). For one, cluster M1 were entirely new creations. Cluster M2 most likely reflected existing Chinese and Okinawan forms (even though they might have been adapted). Even if Miyagi did create/adapt the kata that comprise cluster M2, he probably wouldn't have wanted to broadcast this. For one thing, it would have made him seem like he was blowing his own trumpet. 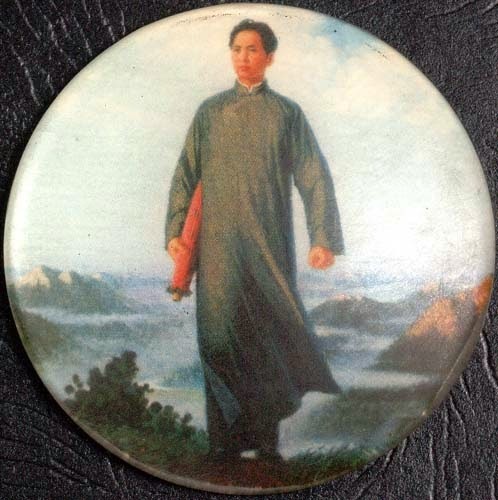 For another, remember that tradition gives legitimacy in martial arts. Perhaps he could publicise some creativity, but not the full extent. I'm not suggesting that he lied about the origin of cluster M2, but simply that nobody asked and he didn't volunteer. Where and when could Miyagi have possibly picked up cluster M2? There are 2 issues here: First, is it odd that Higaonna spent 13 years in China (Tokashiki Iken argues that it was only about 3 years7) and only learned 4 or 5 kata? Not particularly if you consider that it was common for Fujian systems to teach only 4 or 5 forms at that time. Kanbun Uechi certainly returned after 13 years in Fujian with only 3 kata - sanchin, sanseiru and seisan. He said he "didn't have time" to learn the fourth and final kata, suparinpei. Note that the names of the kata are identical. And while the kata appear completely different from goju, a close analysis shows they are related. 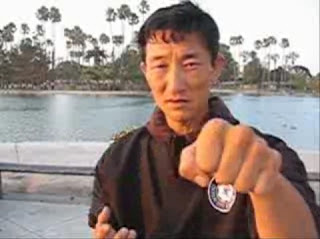 As discussed above, McCarthy's research indicates that Ryu Ryu Ko taught 5 kata at most. Even today, goju's sister school of tou'on ryu only teaches 5 kata (principally cluster "H" ). (2) Higaonna never bothered to pass on Ryu Ryu Ko’s kata – preferring to take elements from them at most. 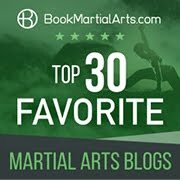 The latter is not that surprising if you consider my comments in the article "Karate and the Chinese martial arts: Part 2". The second issue is, how could Miyagi learn 5 or so forms in China in 4 months, especially when he couldn't speak Chinese? Well in actual fact Miyagi was in China for about 2 years all told: the first time in 1915 to 1917, and again in 1936 for several months - ample time to pick up other kata even if he didn't train for a lot of the time he was there.3 But in any event, I very much doubt he did learn the cluster M2 kata in China, although it is possible: on my first 4 day visit to Chen Yun-Ching (son of the late Chen Pan-Ling) he was happy to teach me the entire taijiquan form and the 5 elements of xingyi. I didn't perform it well of course, but he was certainly happy to show me and I, as a practitioner of nearly 30 years, didn't find it too difficult to absorb enough to go home and practice until my next visit. However I think it was more likely that while Miyagi learned a few things he was more influenced to adapt his existing knowledge. We know for example that he trained at the Kojo expat dojo, as most visiting Okinawans did. There he would have practised the rising ko uke/shotei uke and the horizontal equivalent that you find in tensho (stray techniques that do not appear in any kata, however the rising ko uke basic does appear in some of Gokenki's forms like paiho). 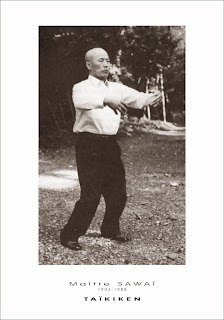 He would have observed breathing forms like those in Yong Chun that have a similarity to tensho. It is a small stretch to consider that he would have packaged this "stray" knowledge into a white crane looking form (ie. tensho). We know that Miyagi was taught by Ryuko Aragaki even before he went to Higaonna. We also know he was influenced by Gokenki. Apart from this, we know that after Higaonna's death he felt he was "walking along an unlit road" searching for more knowledge.4 There are many stories of Miyagi (accompanied by students like Shinzato) going to meet with particular masters to seek out any new knowledge.4 While he never found a new master, it isn't a stretch to consider that he learned the odd thing here or there. There is written record of Seisho Aragaki performing a kata named "chisaukin" at a demonstration in 1867 1. Whether this is the same kata as shisochin, we can only speculate. Furthermore Choki Motobu makes mention of the kata seiyunchin in his book Okinawa Kempo first published in 1926 5. Last, Mario McKenna tells me that Itoman Seijin mentions in his book Toudi no Kenkyu (1936) a kata called Hanashiro no Kururunfa. This kata is is sometimes referred to as nunfa and its opening pattern resembles the goju-ryu version. I shall deal with these kata specifically in later parts of this article. Gokenki (Wu Xian Gui) was a tea merchant living in Okinawa who became a good friend of Miyagi’s. He is reported to have taught white crane forms not only to Miyagi, but to many other Okinawan karate masters including Kenwa Mabuni of Shito-ryu. Surviving forms of Gokenki’s include nepai/nipaipo and a series of related kata that include paiho (of ryuei ryu), hakucho and hakutsuru. 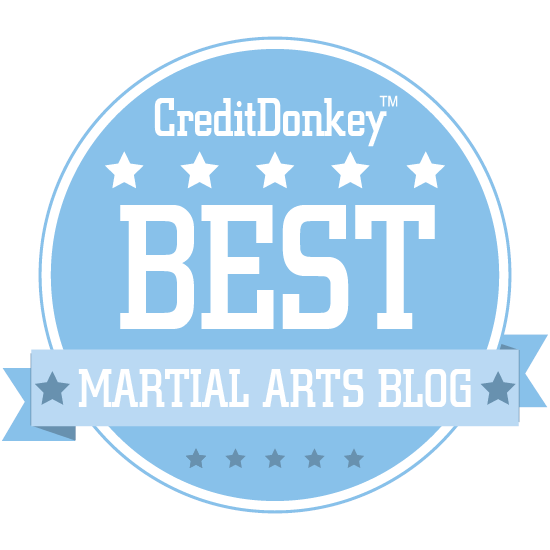 In future parts of this article I will explore moves from Gokenki kata that appear in the cluster M2 kata – either identically or with minor variations. For the time being it is sufficient to note that this raises the issue of whether Gokenki's kata were adopted with Okinawan influences, or whether Okinawan kata were modified to contain Gokenki influences. Whatever the truth, Gokenki’s influence on Miyagi and others like Mabuni seems beyond doubt. I don't imagine any of Gokenki’s forms survives intact. Moreover I very much doubt that “ancient” kata such as shisochin, seiyunchin and kururunfa are faithful to their performance in the mid 1800s. The origin of the katas saifa and seipai remain a mystery, with the closest hint we have being one or 2 congruent techniques in nepai and a version of Kume village hakutsuru (more on this in due course). 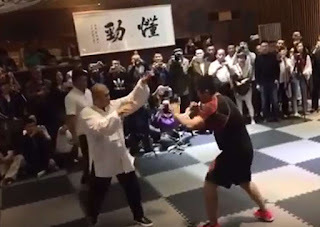 Did Kanryo Higaonna even learn cluster H from Ryu Ryu Ko (Xie Zhong Xiang)? I, for one, even doubt that the Higaonna forms were all/exactly the same as Ryu Ryu Ko's (Xie Zhong Xiang's). Higaonna never claimed to be teaching a particular school of Chinese quan fa (eg. "whooping/crying crane" etc.). And certainly forms like sanchin and seisan are known to have existed in Okinawa already. Seisho Aragaki taught both. 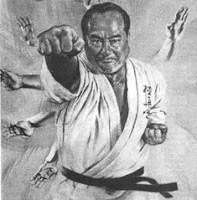 Moreover the only available information on Ryu Ryu Ko (via Pat McCarthy) is that of the 5 or so forms he taught, none of these were sanchin, sanseiru, seisan or suparinpei. Rather McCarthy's research indicates that he was a whooping/crying crane master who taught happoren/babulian, nepai/nipaipo, doonquan, roujin/lohan and qijing. Of these forms only one (happoren) bears any resemblance (and it is only a passing one) to an Okinawan kata (sanchin?). 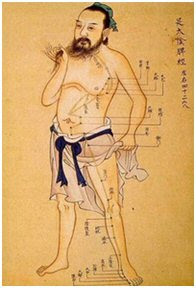 McCarthy's Chinese nepai (said to be from Xie Zhong Xiang) is clearly related to tou'on ryu's nepai, however the tou’on ryu version is attributable to Gokenki, not Xie Zhong Xiang. 1. See Mario McKenna's article "Higaonna Kanryo and Nahate". 2. See Joe Swift's article "The Kempo of Kume Village" in Meibukan Magazine No. 6. 4. Bishop, M. (1989). Okinawan Karate - Teachers, styles and secret techniques. London. A & C Black Ltd.
6. See Mario McKenna’s article “So what did you think you were doing”. One thing, though. Aragaki Seisho was reportedly Kanryo Higaonna's first teacher, not Miyagi's. Indeed - it was a typo. I meant Ryuko Aragaki with whom Miyagi trained briefly before he went to train with Higaonna. In one theory, I have learned that from Saifa to Suparinpei was brought from Fujian province by Higaonna. Ru Ru Ko taught Higaonna those katas, but those katas were possibly all one kata instead of seperate. "There are many stories of Miyagi (accompanied by students like Shinzato) going to meet with particular masters to seek out any new knowledge." Guess he didn't have the internet libraries back then. While I'm sure a lot of this would make more sense if I had a karate history background, the current material is still very interesting. 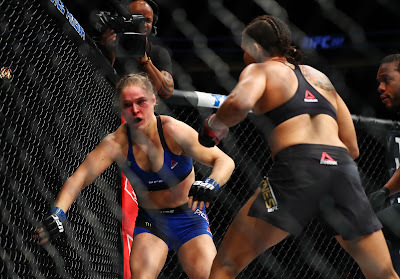 How is MMA different from "real fighting"?